When my brother and I were kids, there was little in the way of tech to distract us. So we fought in the car all the time. Our dad would reach around to grab us, but he usually missed. Luckily, he also missed the other cars as he accidentally swerved towards oncoming traffic. Thankfully, scenes like those are a thing of the past if you take advantage of modern tech to keep your kids entertained in the back seat. 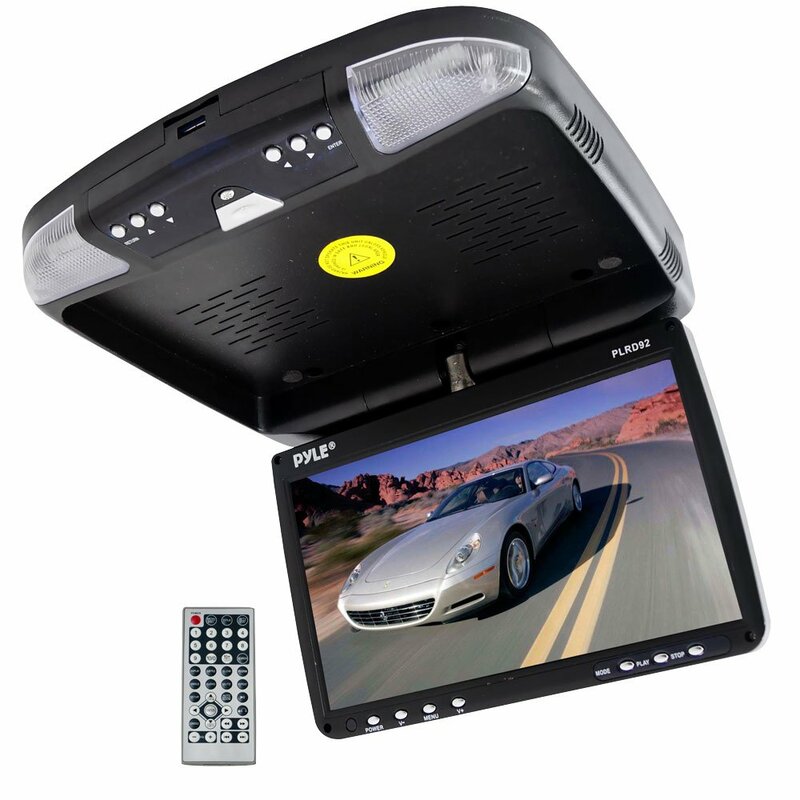 If your car didn't come with a built-in DVD player, there's no reason you can't install one yourself. You'll be grateful for it on long road trips with the kids. There's a reason even the most principled parents often "compromise" and sit their kids in front of the TV occasionally; it's the ultimate pacifier. And who wouldn't want to stave off a highway meltdown with a high-powered pacifier? The good news: You have a lot of choices. There are many respected brands, including Pyle Audio, XO Vision, Rockville, Audiovox and Alpine. And they've kept up up-to-date with HD screens, infrared transmitters for wireless headphones, HDMI, USB and SD inputs, and anti-skip mechanisms to handle bumps on the road. Both flip down monitors and headrest monitors each have their own advantages. While flip down models have a clear advantage in size--getting as big as 19 inches--headrest monitors tend to win on price. Pyle Audio's lowest priced flip down, a 14-inch model, isn't unreasonable at $222, but unless you're handy, you'll need to hire someone to install it. Alternately, Rockville offers a less expensive line if you want to offset installation costs. Video games may be the ultimate distraction. Personally, I never could play them in a car--I learned that the hard way as a kid when I got motion sickness fumbling with Mattel Football. But today's Generation Z'ers seem born for electronics, and portable gaming might be just the thing for them. Look no further than Nintendo Switch, which debuts on March 3. It's a home game console with a detachable 6.2-inch touch screen that you can take anywhere. It's controllers appear to be particularly feature-rich, even including a button to take screenshots while gaming. It retails for $300. Although Nintendo has been the uncrowned king of mobile gaming with its storied line of Game Boys, don't forget the Sony's PlayStation Vita, which debuted in 2012. Your kids will have access to over 1,000 PlayStation games. That's a lot of distraction. The PS Vita retails for $200. If these sound pricey, there's always Mattel Football, a remake of which retails for $22. Tablets are a great way to keep children occupied. If your kids are young and you may not be ready to hand them an $800 iPad, there are actually laptops designed for the 10-and-under crowd. These include LeapFrog, Nabi and Kurio. There are also big players making child-centric tablets, like Samsung with its Galaxy Tab 3 for kids and Amazon's Fire HD Kids Edition. To take full advantage of all the tech, you might consider adding in-car WiFi. And while that might sound extravagant, it's actually easy to do and pretty affordably. One option: You can use your smartphone as a hot spot. Just keep in mind that you'll need to get a large data plan (thankfully, carriers are bringing back unlimited data plans) and keep an eye on your battery. In addition, major wireless companies offer dedicated devices. There's the AT&T ZTE Mobley, which retails for $100 plus a $10, $20 or $30 monthly fee (depending on the data plan you choose). Verizon used to offer its Delphi Connect, but since it has been discontinued, independent company Zubie offers Verizon 4G LTE. Both Zubie and AT&T ZTE Mobley are devices that plug into your car's OBD II port (which is easily accessed from under your dashboard, and is the place you plug in gadgets like the Automatic car diagnostic monitor). 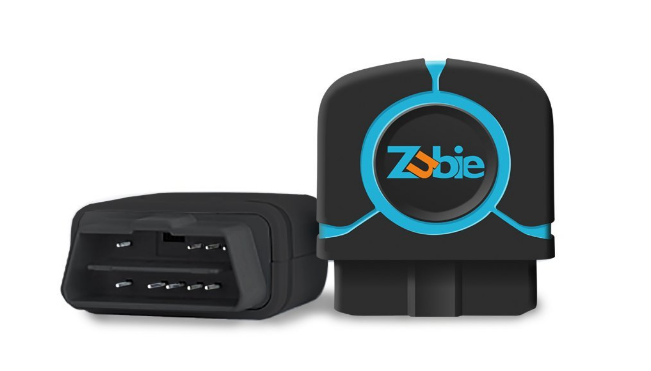 Indeed, in addition to providing in-car WiFi, Zubie also does Automatic-style vehicle diagnostics. It costs $100 plus a $10/monthly service fee. There may be additional Verizon data and activation fees as well. Finally, if you're in the market for a new car, there's a chance WiFi will be built in. For a complete list of 2017 cars with WiFi, check out Cars.com. OK, you've got the devices. You've got the WiFi. You're going to need a way to keep things charged. As a general rule, you'll want to use a multi-port USB charger. After all, a 12 volt socket can handle more than one USB port. There's no need to waste it on just one device. Belkin's new Road RockStar 4-port Passenger Car Charger might be just the thing. It's designed with a family of four in mind. It consists of a dual USB port for the front passengers and a 6-foot cable that leads to two USB ports on a backseat charger. One 12 volt socket is put to use charging four devices simultaneously in both front and rear seats. Kudos to Belkin for a good design. The Road RockStar retails for $40. Another option: The Anker PowerDrive 2. It charges two iPads simultaneously at full speed. It retails for $17. Similarly, Zus is a smart car charger that matches Anker's charging capability, but as an added bonus will tell you where your car is located. That's currently on sale for $30. You can also go with an AC/DC power inverter. That way you can plug your devices into a regular plug as you would at home. Just be careful not to drain your battery; it's best to run a power inverter only when the car is on. So, you've turned your car's back seat into a tech playground. You'll want to keep it organized. There are a number of good organizers out there. I like the RoadPal Back Seat Organizer. It fits on the back of your car seat, holds tablets, drinks and other miscellaneous stuff. It retails for $14. Finally, now that you've pacified and organized everything back there, bring a smile to your face by watching all the goodness unfold with a a wireless baby monitor. The Yada Digital Tiny Traveler Baby Monitor is a camera that straps around your headrest or sticks to your back window and broadcasts to a 4.3-inch monitor in front of you. No more straining your neck to see what's going on. This baby monitor even videotapes at night. It retails for $170.